1.9. What will be the next innovation cycle (1990–2020 and beyond)? 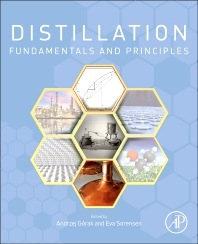 Distillation: Fundamentals and Principles — winner of the 2015 PROSE Award in Chemistry & Physics — is a single source of authoritative information on all aspects of the theory and practice of modern distillation, suitable for advanced students and professionals working in a laboratory, industrial plants, or a managerial capacity. It addresses the most important and current research on industrial distillation, including all steps in process design (feasibility study, modeling, and experimental validation), together with operation and control aspects. This volume features an extra focus on the conceptual design of distillation. Dr. Eva Sørensen is a Reader in Chemical Engineering at University College London. She has worked within the area of fluid separations for over 20 years, and has extensive experience in academic research and in teaching. Dr. Sørensen is a Chartered Engineer, a Chartered Scientist, a Fellow of the Institution of Chemical Engineers (IChemE), and a Fellow of the Higher Education Academy (HEA).